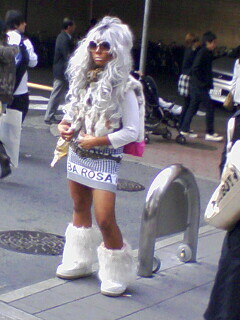 Last weekend Sho-chan and I went to Osaka for the day and we saw a real live Yamamba in front of Hep-5 in Umeda! I was pretty psyched and I managed to get a decent pic as well, so enjoy. 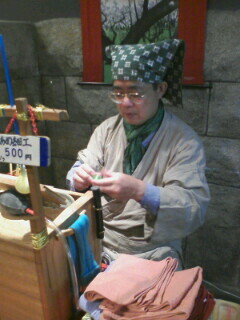 We saw this guy at Tempozan too. Here is Sho-chan eating the remnants anyway, though.